Low batteries can be more than just an inconvenience. Sure, no one wants to be late for work because of a dead battery. But a dead battery could also leave you stranded on a dark road, or you might have to ask a stranger at a gas station for a jump late at night. Here at Hunter Nissan we want to help you avoid these kinds of problems. That's why we sell Nissan-certified and name-brand batteries that you can rely on. Keep reading to learn more about how these high-quality batteries are better for your vehicle. When the weather gets colder, your engine needs more battery power to start up. 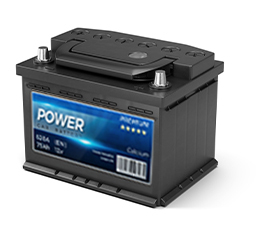 A generic replacement battery often won't give you enough power to do this, while a name-brand battery usually will. Technology like security systems may drain batteries even when they're turned off. These systems don't consume much battery power, but they can wear down an already weak battery in a vehicle that's parked for a long time. Drain often has less of an impact on a name-brand battery than a generic one. Because name-brand batteries usually come with warranties, they're more dependable than generic batteries. That means you can enjoy more peace of mind and more time out on the road. If you’d like to purchase a Nissan-certified battery in Hendersonville, NC, drop by Hunter Nissan at 1340 Spartanburg Highway, Hendersonville, NC 28792 or schedule your service online. We look forward to serving our customers from Asheville, Waynesville and Spartanburg!